The future of Pakistan’s entrepreneurial ecosystem looks very bright with local and international investors stating that Pakistan is “an opportunity too large to ignore”, according to the 021Disrupt Investment Roundtable White Paper released by The Nest I/O on Monday. The White Paper summarizes the findings of the Investor Roundtable held at the 021Disrupt Conference on November 4, 2017, and explores the investment landscape of Pakistan for early-stage businesses and startups. 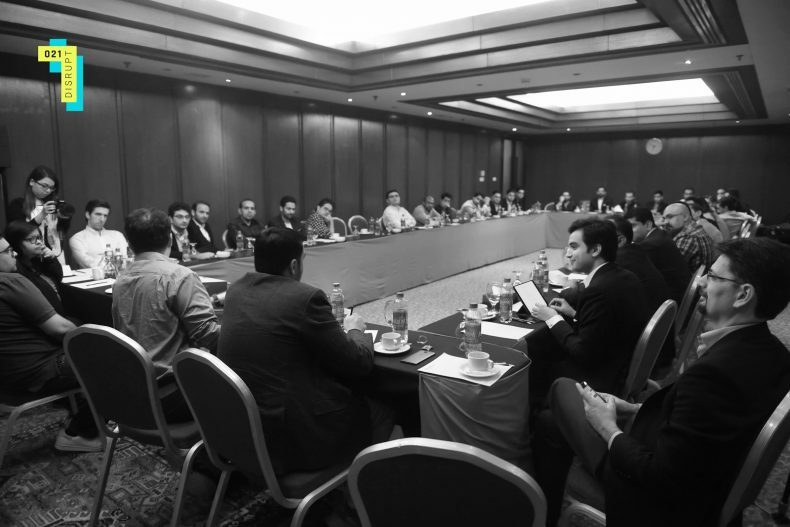 The attendees of the roundtable included representatives of local and international investing giants like 500 Startups, Middle East Venture Partners, Bakery, Golden Gate Ventures, Wamda Capital, Sarmayacar, Gaditek and many more. “The level of excitement I have for Pakistan is very high. We are in the process of raising a $200mn fund for Wamda; we are probably going to allocate a significant percentage of it just for Pakistan. We need local partners who understand the ecosystem to co-invest; I am not going to parachute in from Dubai pretending I know everything”, said Fares Ghandour, Partner at Wamda Capital. The White Paper released by The Nest I/O not only highlights how Pakistan is perceived as the economy by international investors but also serves as a primer for investors looking to enter the entrepreneurial ecosystem of Pakistan. Jehan Ara, President P@SHA and Big Bird at The Nest I/O, said the White Paper gives a very realistic view of the Pakistan startup eco-system and the opportunities that are yet to be explored. “What I feel is that if you are investing right now in Pakistan, and your fund size is about $5mn, you will probably make a lot of money. There is no question eyes will be on Pakistan. But don’t just spray and pray; be careful about what you invest in”, said Jeffrey Paine, Founding Partner Golden Gate Ventures. The report highlights a number of key issues pertaining to the investment landscape of Pakistan, such as founder and investor Maturity at the time of partnership, the role of local investors in kick-starting the ecosystem, the capacity of startups to absorb capital, attitudes towards failure, amongst other issues which are important but are often overlooked. “Local investors need to step in to create liquidity. You need to give a chance to founders to build businesses; a lot of those ideas are incredible ideas and they lead to even better executions”, said Faaris Naqvi of Bakery. While investors from around the world are keen on entering the Pakistani market the report concluded that more support is needed from local companies and government for the startup ecosystem to truly flourish. The complete report can be downloaded from this link and the official 021Disrupt website.